Toyota Kirloskar Motor Pvt. Ltd has got some good news for its consumers. The company has launched the all new variants of Toyota Prius at the Auto Expo 2012 in New Delhi. The new Toyota Prius a best car in the global with hybrid technology is to be launch with an easy seat which is a customized swivel set in order to provide Toyota’s comfort and luxury to all our customers, even those with special needs. The third generation car Prius was introduced in India in the year 2010. The Prius is the best car in the term of hybrid technology and it is the first heavy production hybrid vehicle. The Toyota Prius has been popular around the world with its high fuel efficiency than expected, the lower carbon emission, and also with its outstanding and advanced design and powerful driving performance. 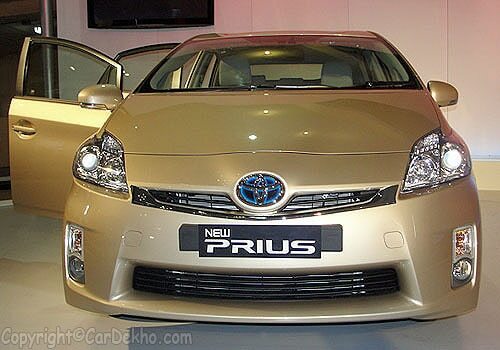 The new Toyota Prius price is to be in between Rs 27,38,500 to Rs 29,40,500. The hybrid car is a global leader and with its line tag of ‘to go before’ in Latin, the Prius is ahead in the global market with its anticipated needs of an environment as conscious world, creating a new innovative thoughts and making up a standard for the future. The Toyota motors with the marvelous technology and achievements of Prius is planning ahead to launch the latest advanced automotive technology as the Solar Ventilation system. The Solar Ventilation System features with a solar panel placed on the moon roof in order to generate electricity and used to ventilate inside the cabin when car is parked. 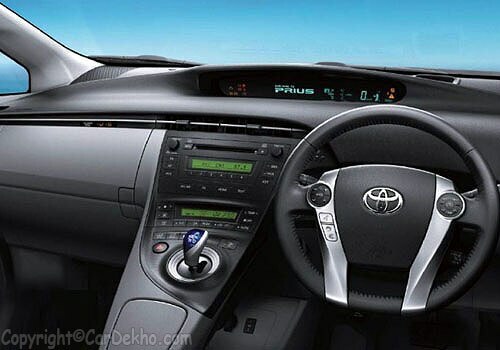 The Toyota Prius review suggests that the new car looks attractive with the new sporty exterior design includes with the excellent placed front grill, front bumper, headlamps, turn Indicator with ORVM Retract and along with new Alloy Caps and LED Tail Lamps. The interiors of the new vehicle look classy and luxurious with Audio JBL 8 speaker with USB Port and Back Monitor. The Deputy Managing Director of Toyota Kirloskar Motor, Mr. Shekar Viswanathan stated that the company is planning to launch a new Prius with an advanced automotive hybrid technology aiming to encourage the hybrid market in India. The company is also planning to grab more consumers and increase the growth if the hybrid market in India.